The high efficiency of these Mitshubishi Mr. 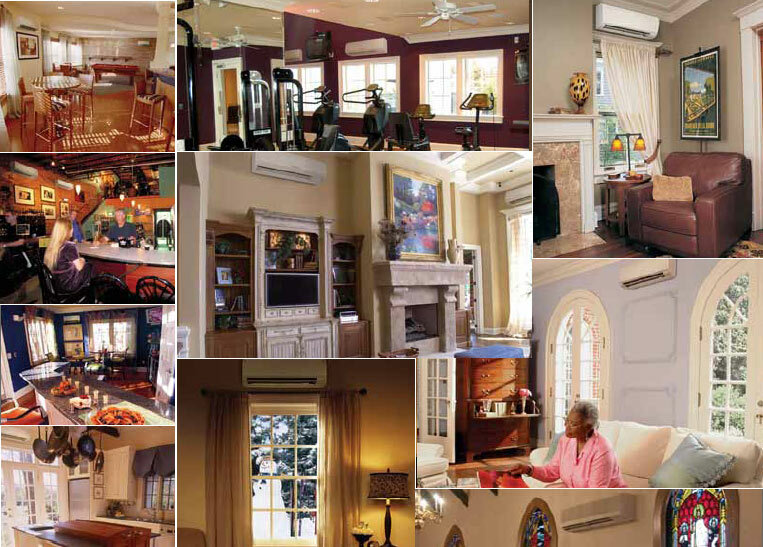 Slim Mini Split Ductless Systems like SEZ-KD12NA4 helps them pay for hemselves by slashing electrical costs. Strong, quiet and efficient DC motors are used both indoors and outdoors. This Mitsubishi's Super High-SEER mini-split heat pump will provide you with 13,600 BTU of heating for winter and 1 ton of cooling for hot summer and it comes with 1-SEZ-KD12NA4 Compact Ceiling-Concealed Ducted unit, wired PAR-21MAA remote control (not included). This unit can be connected to the any modern MXZ-B - outdoor condensing unit. Complete system creat the perfect clymate control for your space. High performance fan blades, condensers and evaporators Combined with variable speed inverter-driven compressors makes for unmatched performance. Variable speed compressors automatically adjust to fluctuating room capacity requirements. Since mini splits have little-to-no ducting, they forego those energy losses typically associated central forced-air systems. Duct losses can easily account for more than 30% of energy consumption, especially if the ducts are not sealed tight or in an unconditioned space such as an attic or crawlspace. What is Mitsubishi Mr. Slim SEZKD12NA4 - Inverter Compact Ceiling-Concealed Ducted Heat Pump? The new range is specifically designed to discreetly inside of your celing level and could replace traditional floor and wall mounted heating appliances such as night-store heaters. Designed for homes, offices, restaurants or shops, the Mitsubishi Mr Slim concealed ceiling SEZ-KD series operates at low noise levels. Its new improved low unit height and lightweight design also help to make installation easier and more convenient. Complete system creat the perfect clymate control for your space. Mix-and-match flexibility of evaporator type and capacity allows you to choose the indoor unit that best fits the application, whether it be hidden or showcased. Mitsubishi Mr. 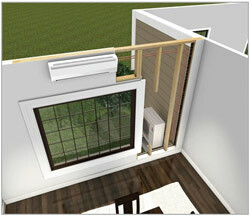 Slim SEZKD12NA4 - Inverter Compact Ceiling-Concealed Ducted Heat Pump - Maximum Heat Output, Optimum Air Distribution. MItsubishi SEZ-KD ducted units can provide split air-conditioning system advantages with the added benefit of being concealed to provide virtually no visual footprint within the conditioned space other than a register and grille for the air to flow. With the use of short-run ductwork, these units can provide comfort to a single room that needs air dispersed evenly throughout the space, unusually shaped rooms, and adjacent rooms. Concealed design for short run ductwork. 7-7/8" High Ultra Thin Body. Long-life air filter included with indoor unit. Wired remote control (NOT Included). Mitsubishi Electric offers a comprehensive remote controller(NOT Included) that controls temperature, fan speed and more. 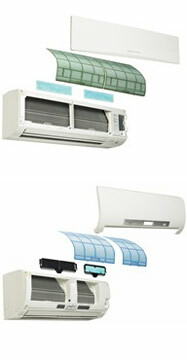 Choose from four modes: COOL, HEAT, AUTO and DRY. The controller also has a 12-hour ON/OFF timer for one-button control of your personal comfort. Mitsubishi Mr Slim SEZ-KD12NA4 Compact Ceiling-Concealed Ducted Unit. Controlling your comfort is easy. Just use the smart remote controller(NOT Included) to get your perfect temperature with the touch of a button. Adjust your mode of operation between COOL, HEAT, DRY or AUTO. AUTO mode will automatically decide if you need cooling or heating delivered to the space to maintain the set temperature. You can even adjust fan speed and the direction of the vane (on applicable units.) Everything you need to control your comfort is right there in your room with you; not in another room or a different floor. Comfort control - room by room.